The UK has now joined a Europe-wide trend towards more devolved forms of government (e.g. Scotland, Wales and Northern Ireland Assemblies). In the context of this general trend towards regionalizm as a focus for public policy and as a source of cultural and political identity, an interdisciplinary team from Newcastle University combine to analyze how this affects the North East of England. 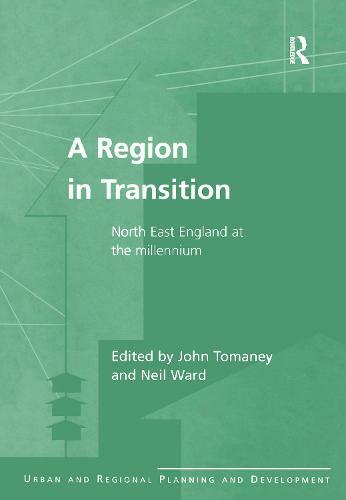 There has been comparatively little published on the contemporary development of English Regions and the North East is a particularly important case study, as throughout the 1990s it has experienced a range of social, economic and political changes. This book will contribute to key contemporary policy debates, which will affect all of the English regions and should be read by all social scientists interested in European regional development.